Ethereum breaks above $1,300 to hit a fresh all-time high on Wednesday. The second largest cryptocurrency by market capitalisation is defying its major rivals, which have slumped during morning trade. Both bitcoin and Ripple’s XRP are significantly lower on the day. 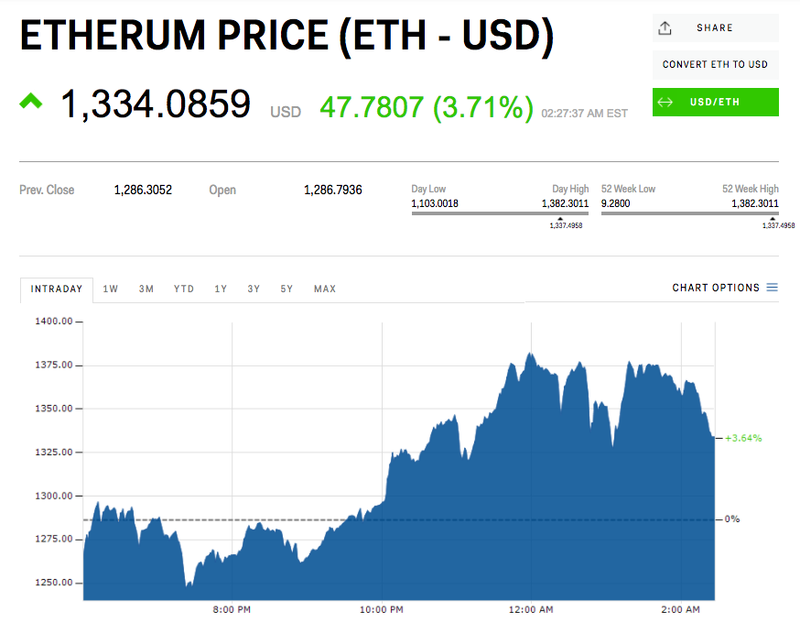 LONDON — Ethereum, the second biggest cryptocurrency in the markets, broke to a fresh all-time high overnight on Wednesday as investors continued to pour money into it.